Posts categorized "Stampin' Up Trips & Convention Fun"
One of the hottest bits of news we got this weekend at OnStage was that we're in for a color redo! I'm super excited about this and actually agree with MOST of the colors they decided to pull... I know they will never be able to please every single crafter out there, but I love what Stampin' Up pulled together with the 53 colors that made the final cut. In a nutshell, here's the new Color Families! Basic Black, Whisper White and Very Vanilla will be their own category, so that freed up space in the Neutrals to pull in some fun base colors that really breathe life into that selection: Merry Merlot, Mossy Meadow and Night of Navy. You'll notice there's some returning In Colors! Mossy Meadow, Blackberry Bliss, Poppy Parade and Flirty Flamingo are joining our regular color line. Fun to have some old favorites back! 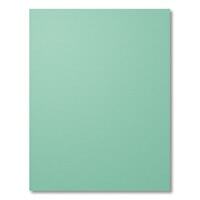 Subtles has the most new colors in it, with Highland Heather, Balmy Blue, Soft Seafoam and Petal Pink. Regals has the most familiar colors, with only one new face (Shaded Spruce) but did you notice some of those shades used to be in the Brights section? We've really switched things up! The Brights are my total favorites now. I could look at that rainbow all day long. Check out the new Gorgeous Grape, Granny Apple Green and Mango Melody. Aren't they scrumptious? Stampin' Up also took advantage of the color shakeup to update our ink pad cases. They're now even easier to open, made to be stackable, and have stickers for the inside so you can be sure you've got the right ink color when you stamp. The print is bigger, the color label is larger, and the new lids fit even more snugly, for less ink evaporation over time. Best part? My favorite feature, the ink pad in the lid so the pad is always upside down to let gravity bring the ink to the surface, is still a fixture on our new pads! Oh and they also still work in the Color Caddy, so no worries there. So it's maybe hard to remember what the color families used to look like, right? No worries, I have a list of all the colors going away. 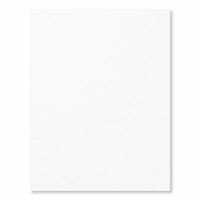 Retirement has begun TODAY, so get your ink refills and stock up on cardstock colors you know you'll want to use after they're discontinued. Outgoing In Colors: Dapper Denim, Emerald Envy, Peekaboo Peach and Sweet Sugarplum. Does one or more of these leave you groaning? You're not alone. I'm going to miss Island Indigo!!! But somehow I always manage to survive a color refresh. I'll probably be ok. Probably. As if that wasn't enough fun, we also have a brand new set of 2018-2020 In Colors. (Oh wow, I can't believe I just typed 2020. Crazy.) Is your mind reeling yet??? Here's the skinny on the new In Colors Collection! Now we're talking COLOR! Ka-pow! I'm going to get Grapefruit Grove for sure, and Blueberry Bushel and Lovely Lipstick. We'll see about the rest... probably some lovely new papers will come along and it will be inevitable that they come home with me! So, when can we get our hands on all this yummy color? The new catalog goes live June 2nd, 2018, but there will be a special preorder sneak peek period in May. I'll share everything I can closer to the date. For now, check out the retirement list, be sure to get refills of any ink colors that are being discontinued, and keep checking back here at Song of My Heart for all the latest news. Rainbow Card Celebrating 30 years of Stampin' Up! This weekend we're celebrating the 30th anniversary of Stampin' Up at our spring OnStage conference. I can't wait to stamp together with NEW products as well as new friends and old. One of my favorite aspects of any Stampin' Up event is sample swapping... and I made these to share in honor of the event. My Stamparatus came in SO handy for making multiples! Hard to beat rainbow colors.... there is just something so pleasing about them. Usually I like 2-3 colors for a combo, but rainbow order is just a different story.It was fun to love on all my Brights inks for this card. Just think, in just a couple of weeks we'll be getting brand new colors to play with! I can't wait to see them this weekend. I will share anything we're allowed to LIVE from OnStage on Instagram. Follow me there or on the Song of My Heart fanpage on Facebook! Fair warning, if you follow me on Instagram, you're going to see that my whole life consists of cardmaking, Jesus, family, travel, coffee, playing with my daughter's gorgeous loooong hair, and pictures of food. That's my life! No pretense of perfection. I've got some epic messes and card fails on there. Good for a giggle! I have the honor today to be the special guest for a blog hop hosted by some lovely British demonstrator friends, the Stampin' Creative Design Team! I'm a big fan of their work and was delighted to accept a guest spot. They have each selected a card of mine to CASE (remember, CASE means to "copy and share everything") and I can't wait to see which projects they chose to recreate. Each blog is linked to all the others in a big cyber-circle, so just keep following the trail by clicking on the "next blog" button at the end of every post. You may have arrived from Mikaela's blog, the Crafty oInk Pen. Continue until you have to get off, or wind up back where you started! FUN! It was fun CASE'ing myself! It was hard to pick one, however! Recently I've been playing with an old favorite, Lovely As A Tree, and so I chose to recreate this card from January 2014 and give it an updated look. I kept the base color and basic layout, but changed up the technique. I think my new version looks like spring! I used Archival Basic Gray to stamp the trees, then used the spatter stamp from Swirly Bird to add dots in Blushing Bride, Pool Party and So Saffron. I can't wait to use this fun spatter technique with some autumn colors! Some of the gold showed up in the photo, but this version is very blingy, with Year of Cheer specialty metallic washi tape, Gold Faceted Gems, gold ink spatter and clear Wink of Stella glimmer brush. Guess I was in GLITTER MODE when I made this one! Now head on over to Craft with Caro to continue your hop! 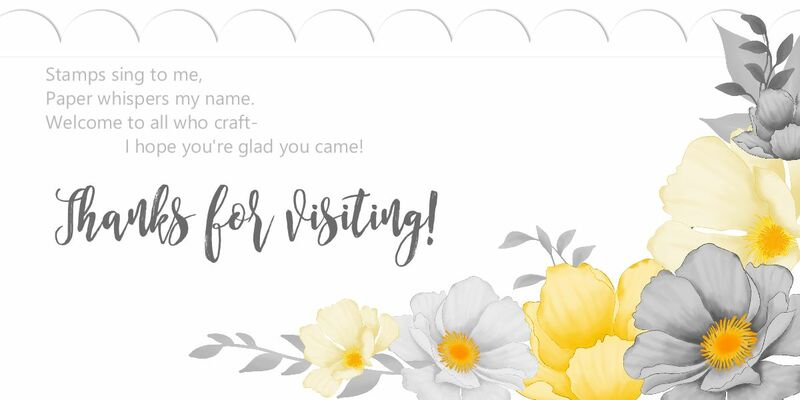 Thanks for visiting Song of My Heart today, and thanks to the Stampin' Creative team for the privilege of being your special guest stamper this month! If you live in the United States, I'd be honored to be your demonstrator and supply you with the best crafting products in the world. Click here to Shop with Lyssa! Oh, you guys!! I can't believe I forgot to share this with you. After all, YOU are the reason this amazing trip is happening for my little family! Last week during all the excitement and doctor/hospital/PT visits, I earned my tenth consecutive incentive trip from Stampin' Up, an all-expenses paid Alaskan Inside Passage cruise (holy cow!) I know, how could I forget something like that? I guess maybe you'll forgive me for not remembering to post it with everything else that was going on! But I wanted to express my sincere gratitude first to God, from Whom all blessings flow. He continues to use direct sales and Stampin' Up to bless our family through the (fun) work of my hands. I'm so thankful for grace gifted to us during a very personally challenging year. I also wanted to publicly appreciate on my amazing team members, whose enthusiasm and personal goals help keep up my own energy and achieve my craziest, most outlandish dreams. We have laughed, played, worked and cried together this year. I hope I inspire you half as much as you inspire me. And then to take a moment to thank YOU, my lovely, loyal customer friends and blog followers. Without you, these experiences of a lifetime are not even within the realm of possibility. Thank you for letting me into your lives and making Song of My Heart part of your day. You blow my mind with the creativity and passion that explodes from the simple encouragement and quick ideas you find here. We are making the world a better place each and every day. I am deeply proud of having had any tiny part in your creative journey. Blessings on you all, as you have blessed me with your friendships. It's been a fun week to be a Stampin' Up demonstrator! A whole bunch of us, worldwide, got together to express our appreciation to our Demonstrator Support Agents in the call center. They work so hard to answer all our questions, train the newbies, fix our ordering mistakes, and so much more. I never hang up without a smile on my face. I don't know what Stampin' Up looks for in their vetting process for their agents, but it's good stuff, because all of them are awesome! Other companies could really learn from them. So demonstrators all over the world are sending treats, flowers and of course hand-stamped gifts and goodies to their regional home offices this week. It's been super fun to see what's being sent in--everything from balloons to banners and even catered lunches and food baskets! The Song of My Heart team and I decided to make coasters this year, and it was truly a group project. Our members in Arizona made all the envelopes, our members in Wisconsin stamped all the cork coasters, and our members from all over the United States sent in money to cover the supplies and postage expenses. It made my heart so glad to package it all up, tape it shut and send it on the way! I'm black and blue from PINCHING MYSELF, because today is the day! We hop on the boat here in Barcelona, Spain today and start the trip of a lifetime, first on the cruise ship bopping around the Western Mediterranean and then on our own for a week in Venice, Florence and Rome. And it's all because of you, you amazing customer friends. Thank you SO much for making it possible for me to gift this trip to Mike. I'll ask one more thing of you, friends, and that is that you pray for safety, good health, and that we don't get lost! Oh, and for Mike's parents and my parents, who are flying in to stay in our house with the kids so that they can finish out their school year without disruption. Wasn't that amazing? I really am so blessed. To celebrate our embarkation day, I made some more little Swirly Bird boat cards from scraps. I love this little boat! I'm going to UNPLUG & ENJOY the trip, so if I don't respond to messages, just know I'll catch up as quickly as possible when I'm back on American soil. In the mean time, you can call 1-800 STAMP-UP for help with anything. And I'll be sharing pictures whenever we have free wifi, I'm sure, so be sure to follow me on Instagram and Facebook to see where we're traveling to that day--we'll be seven hours ahead of the time back home. I've scheduled a few fun surprises in advance so don't think I've left you without inspiration for the next two weeks! You'll want to check in regularly to see what I've cooked up with my demonstrator sneak-peek order. I'm having WAY too much fun. Thank you so much for "playing" with me. Our friendship has been a delightful surprise and blessing in my life, and I know your hearts are with me as I go enjoy the trip WE earned together for my well-deserving hubby. Bless you for that.